At Riverwalk Dental the dentist is committed to providing excellence in dentistry, and stands out as a leading dentist in Rolling Meadows. The doctors use the latest in dentistry techniques to provide you with a beautiful and healthy smile. Additionally, the doctors believe strongly in education to prevent oral health problems before they occur, and makes sure to keep patients fully informed about their dental health. 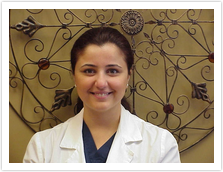 Read more about Rolling Meadows dentists below. Prior to RiverWalk Dental, Dr. Blaibel learned the skills for treating children while practicing at Infant Welfare Society at Oak Park and the Boys and Girls Club in Chicago. While at both facilities, she provided dental services for under-served and under-privileged babies, children, and young adolescents. She was also honored to represent UIC College of Dentistry in health professional meetings, assist in campus community services, and recruit students to the college of dentistry. 2012 Student Doctor Volunteer, HealthCare International Reachout, Inc.
Outreach to Jamaica to provide care to impoverished school-children and adults. Help in providing care to those who lack access to dental & health insurance, are unemployed or lack appropriate alternatives for acquiring dental care. Perform dental exams & place sealants on school-children in under-served areas of Cleveland. Volunteer for non-profit community improvement organization and charity. 2016 Charley Schultz Resident Scholar Award, American Association of Orthodontists Annual Session, Orlando, FL. Awarded to the top 6 academically accomplished students from a class of 70. Awarded to students with a cumulative GPA of 3.50 or above at graduation. Awarded to students with a cumulative GPA of 3.50 or higher. Awarded to students who have shown academic excellence. Awarded for outstanding scholastic achievement. 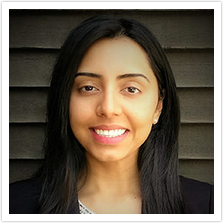 Involved in university chapter of organization that seeks to promote, support, and encourage a promising academic environment for minority dental students. Organization that assists students seeking to gain admission to dental school. South Asian Studies Student Association at the University of Toronto. Indian Classical Vocal/Instrumental Music: Performed at cultural events. Painting, Drawing, Sketching: Lifelong passion for artistic expression. Flâneur/Urban Explorer: I love getting to know urban areas & communities.